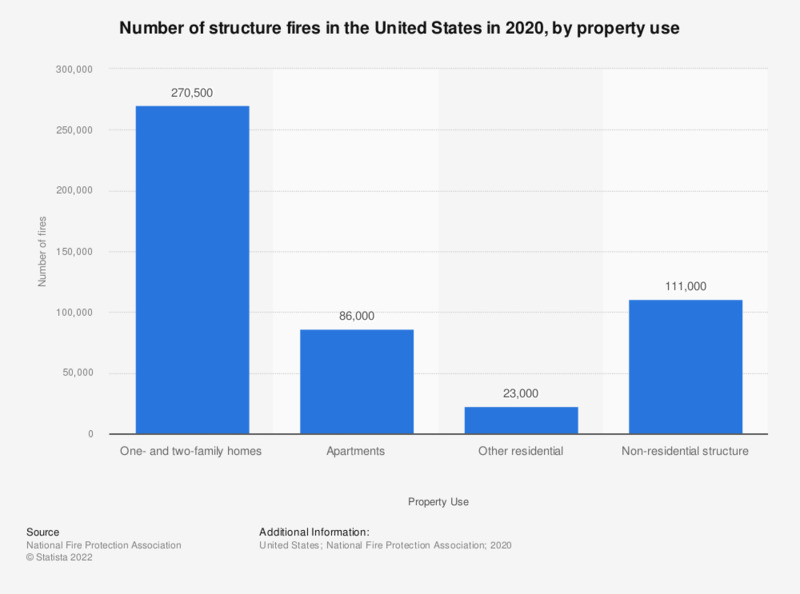 This statistic shows the number of structure fires in the United States in 2017, by type of property use. There were an estimated 499,000 structure fires reported to U.S. fire departments in 2017, of which 379,000 occurred in residential structures. *Incidents handled only by private fire brigades or fixed suppression systems are not included in the figures shown here. One- and two-family homes include manufactured homes. Other residential includes hotels and motels, college dormitories, boarding houses, etc.